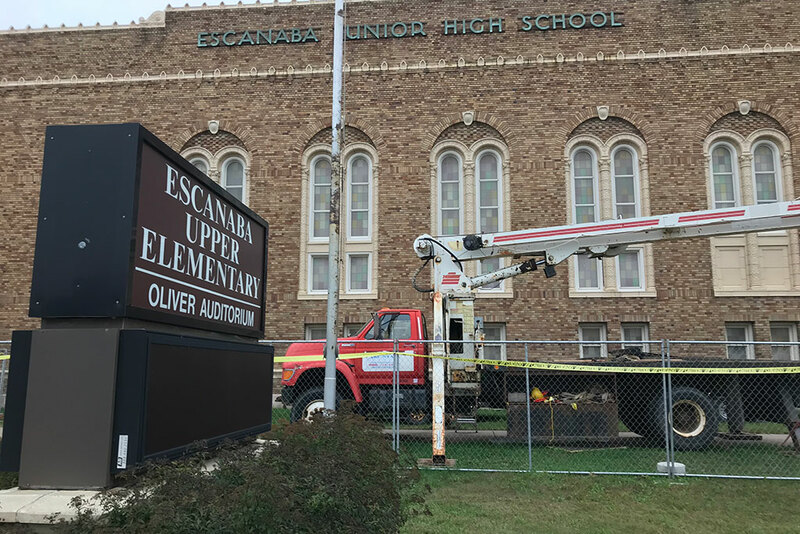 ESCANABA — The Escanaba School District has posted a list of projects that would be completed over the next four years if voters approve a sinking fund proposal on Nov. 6. A similar proposal was defeated in May by School Board Secretary Bob Chaillier said this time they are specifying exactly how the money would be spent. The Escanaba Schools is asking for 1.8 mills for 4 years. In the first year, money would be primarily used to improve security including lock down systems, secure doors and camera upgrades. But School Board President Dan Flynn said it also includes eventual roof repairs at the Upper Elementary School, the Maintenance Building and High School gym. He said it is important to keep the buildings in repair. “We spend millions of dollars building the buildings. Now we need to repair them but we need help because student funding really doesn’t help us a lot with building repairs,” Flynn said. The list is posted on the school website at eskymos.com. Share the post "Escanaba School Board narrows down projects for sinking fund proposal"